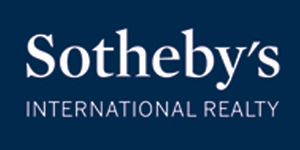 Lew Geffen Sotheby's International Realty Knysna, owned and managed by Peter and Sheena Maré, offers the services of Property Sales, Holiday Accommodation and Long Term Rentals. It is a well-established business with an excellent track record in the property market. Service excellence and the personal touch are the essence of our business. We take the time to listen, and offer one-on-one attention, so we can guide our clients in making the best property choice suited to their needs and desires. Our agents are competent, professional, experienced and friendly. Community is important to us and we involve ourselves where we can be of assistance, both in Knysna and on Leisure Isle. Our aim is to make friends of our clients; hence much of our business comes from referrals. We are always happy to inform our clients about Knysna, recreational activities in the area, and 'must-see' Garden Route tourist attractions. If you are settling in our lovely town, we are happy to offer support and advice on anything with which you may need help - schools, shops, doctors, etc… We will introduce you to your new neighbours, inform you on clubs, churches and community matters. A combination of experience, professionalism, genuine support and friendliness makes our team second to none!